Seems like we are in a constant state of rain right now. And cold. Not winter cold, but certainly not warm. And when the sun does come out, it seems I am either at work or off running errands and not enjoying it. I cannot tell you how much my lawn needs to be mowed! Maybe I’ll have that rare opportunity this weekend. I’ve been fortunate though to have a few FO’s this week, and much to blog about. In keeping with that, I have a few project updates. I was able to cast off the bottom of the sunburst cardigan commission piece. I now need to start those sleeves and get this finished. The cash from this piece is funding a new industrial strength ball winter. With as much as I knit and spin, I am desperate for it. My poor little plastic ball winder sounds so sad and loud with its stripped gears. 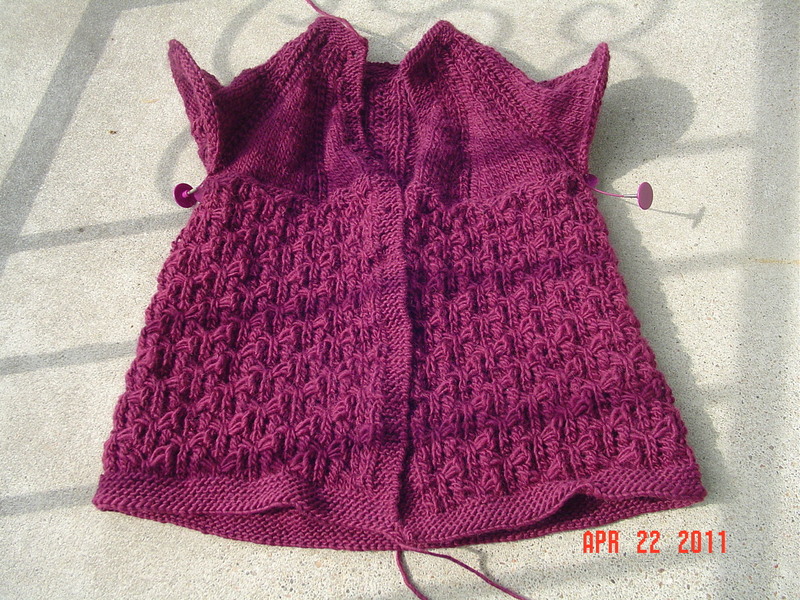 I also started my Amiga cardigan with the dyeabolical cotton slub DK. I was able to get gauge with this yarn, surprisingly. The sweater might be a little floppy, but I think the pattern works well for that. I’ll give a full review later of course, but upon initial investigation and comparison, I like the DK very much. It isn’t as fun to knit with. The slubs are less even. Some are much larger than others. It is, overall, softer. Less tightly spun. And in all honesty, I like the fabric I am creating more with the DK than I did with the original slub. 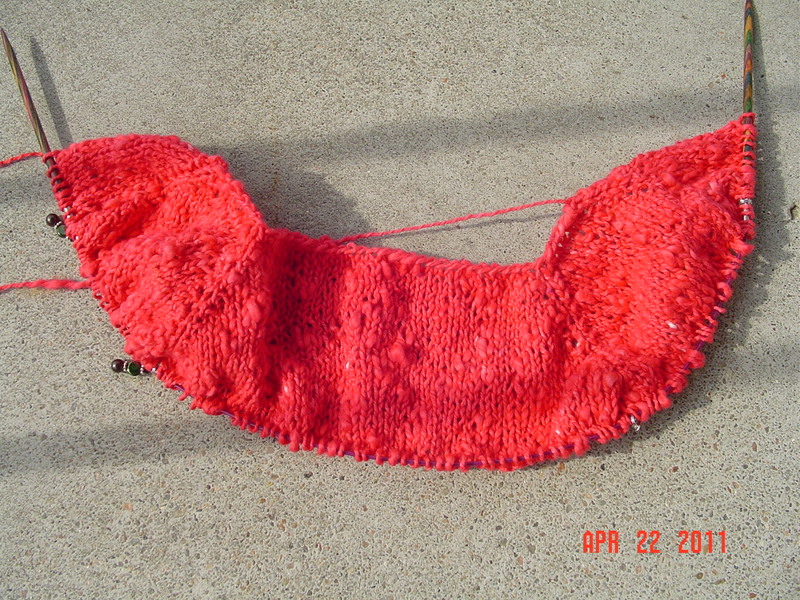 I am finding this color very hard to photograph, but here is the beginning of the yoke of the sweater.